Let’s face it. 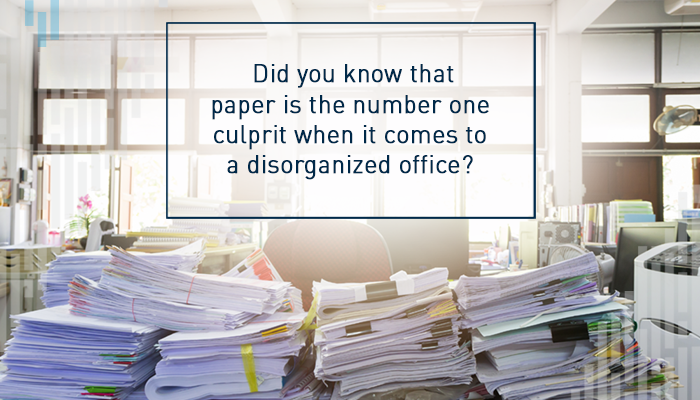 Organizing and managing paper can be a huge challenge for any company, large or small. What if you could get on top of the paper game once and for all, and set up a system to keep your office organized going forward? Luckily, TAB has a solution that can improve space usage up to 339%. 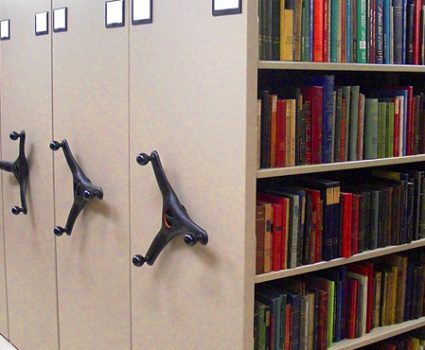 If you are facing a corporate move, centralizing your filing system, consolidating your office, or simply needing more space, a mobile storage solution could be the key to getting you organized. 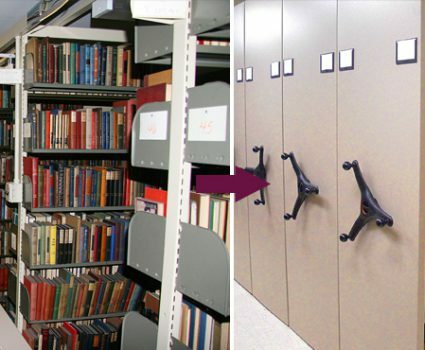 TAB’s shelving and storage solutions transform office space, save money, ease the process of finding and using critical information, and streamline services. TAB helps companies optimize their storage and reduce risk. Whether it’s keeping documents, client information, or securing other important collateral, TAB understands the importance of a systemized office with an organized filing system. 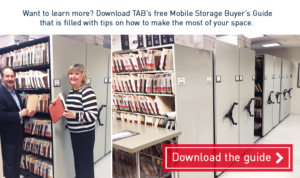 Download the Mobile storage buyer’s guide for a detailed walk-through of these essential questions and a guide to the different types of mobile shelving. Need a hand? 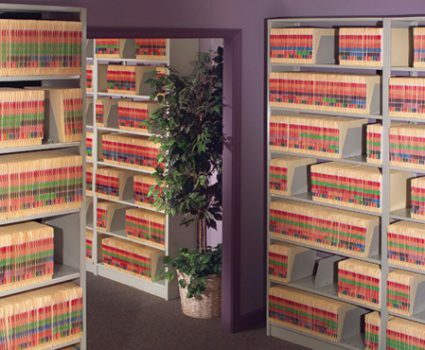 Talk to a TAB representative and get help determining the mobile shelving solution that best addresses your needs today and in the future.